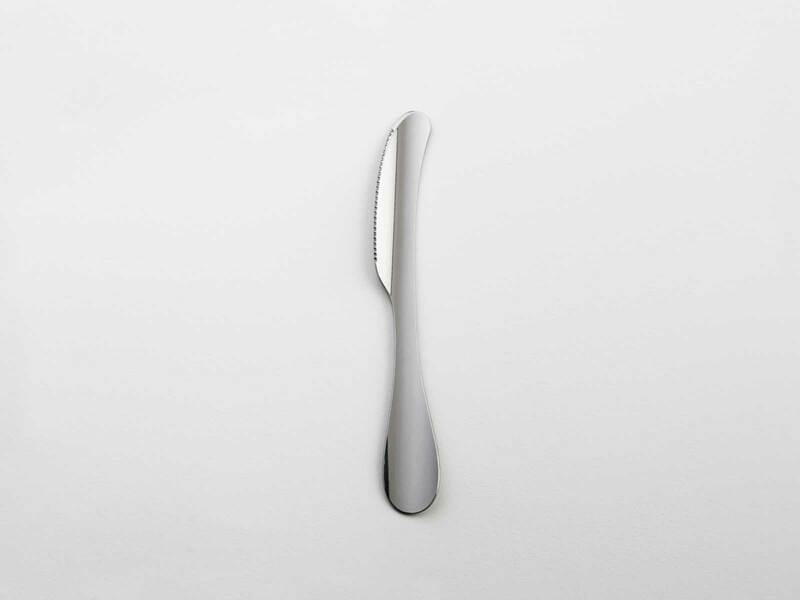 The New Outline cutlery designed by Maarten Baptist, for daily use at home, office or restaurant. 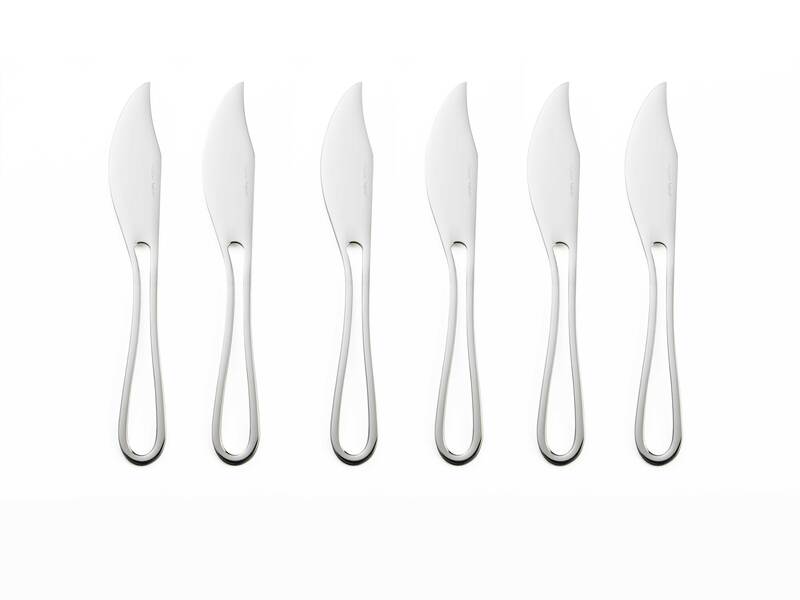 Outline cutlery is dish washer safe and comes packed in a gift box / envelope. 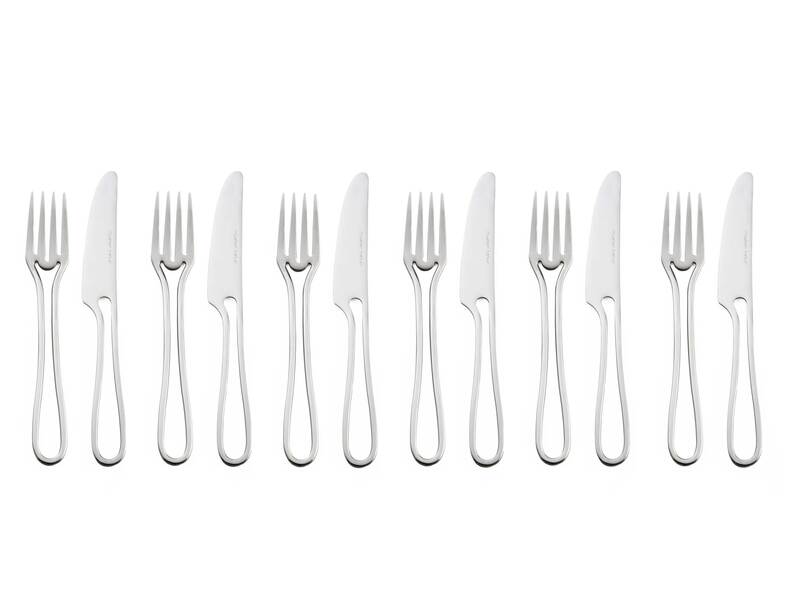 Outline Cutlery 24-Piece Set for 6 persons made from 18/08 stainless steel. 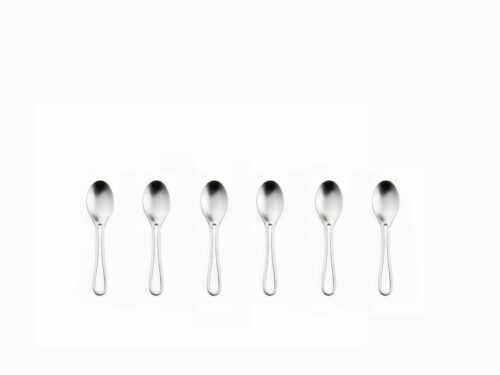 The set includes 6x forks, knives, spoons and tea spoons. 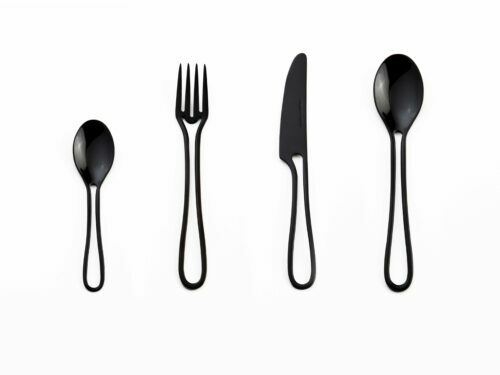 The cutlery is dishwasher safe (available in black polished / matte satin / polished). 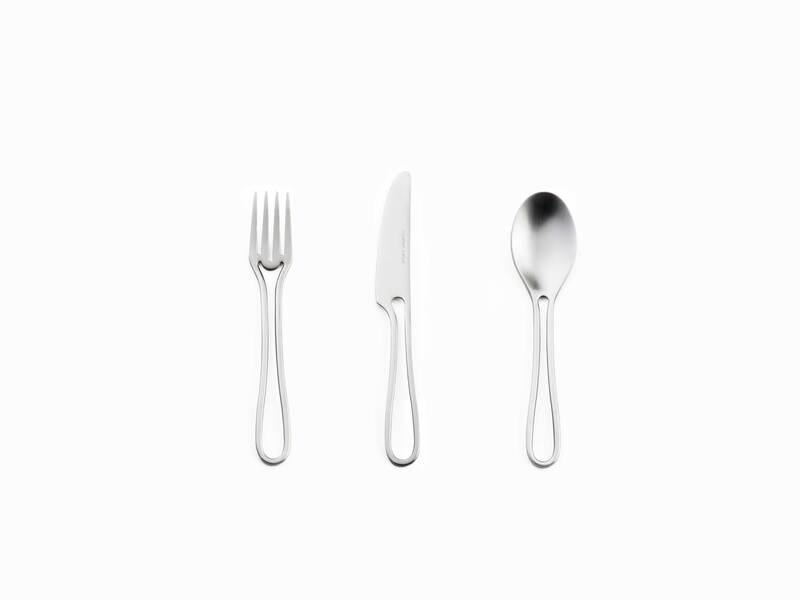 Next to the relaunch, the series has also been expanded with a small set of cutlery items — in all three colour ways — which can serve perfectly for dishes like starters, cakes and pastries. Furthermore, they are sized for kids to use. 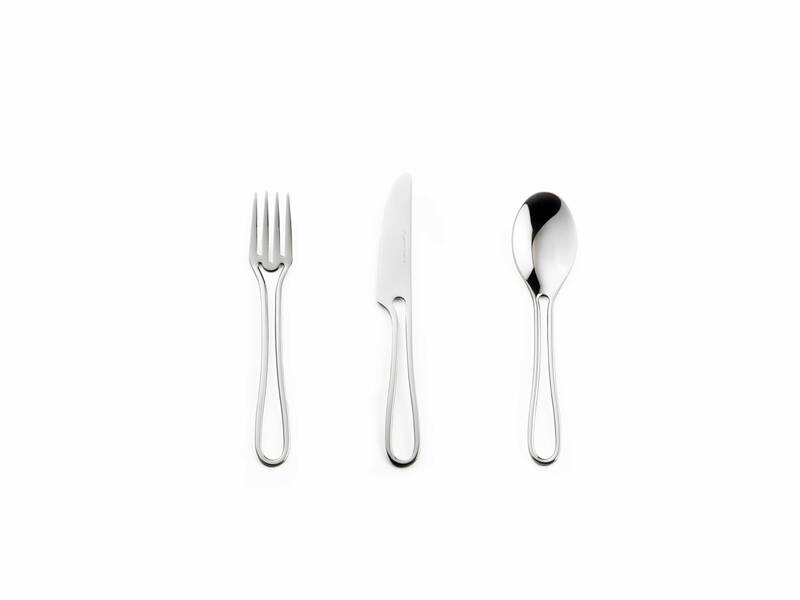 The dining fork’s middle tooth is a little shorter than the other teeth, giving it a fish fork’s function to be enjoyed together with the fish knife. For the relaunch, Maarten Baptist mainly focussed on perfecting the pieces, for instance, the thickness of the outline changed slightly. 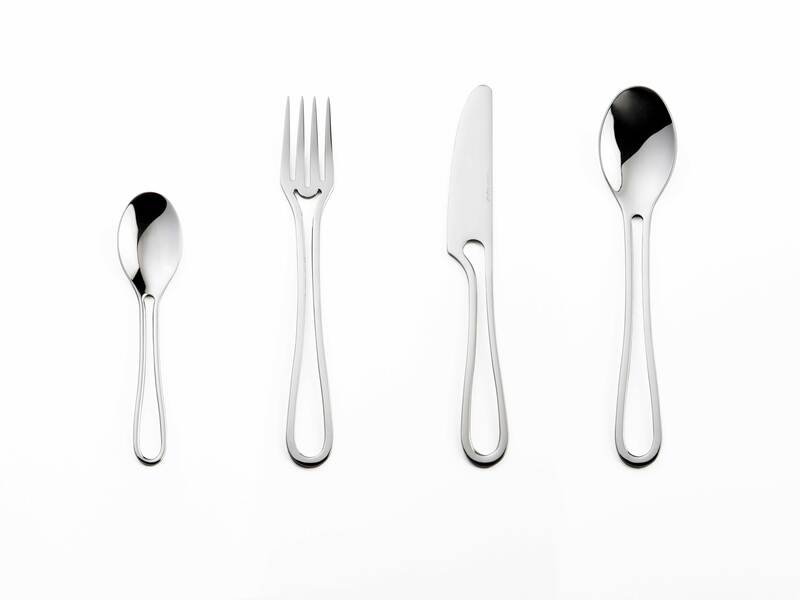 The series is made out of 18/08 stainless steel, which makes for a very durable cutlery. 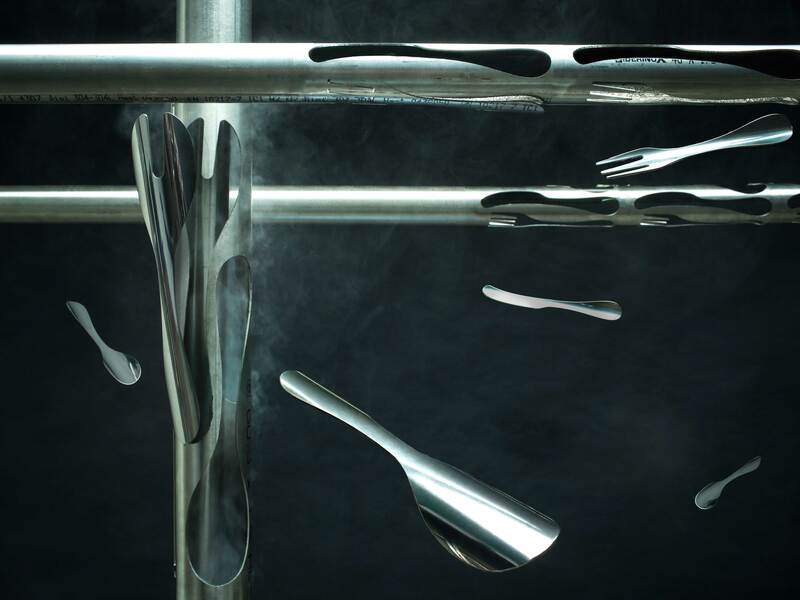 Maarten Baptist designed the Outline Cutlery as his graduation project from Design Academy Eindhoven. 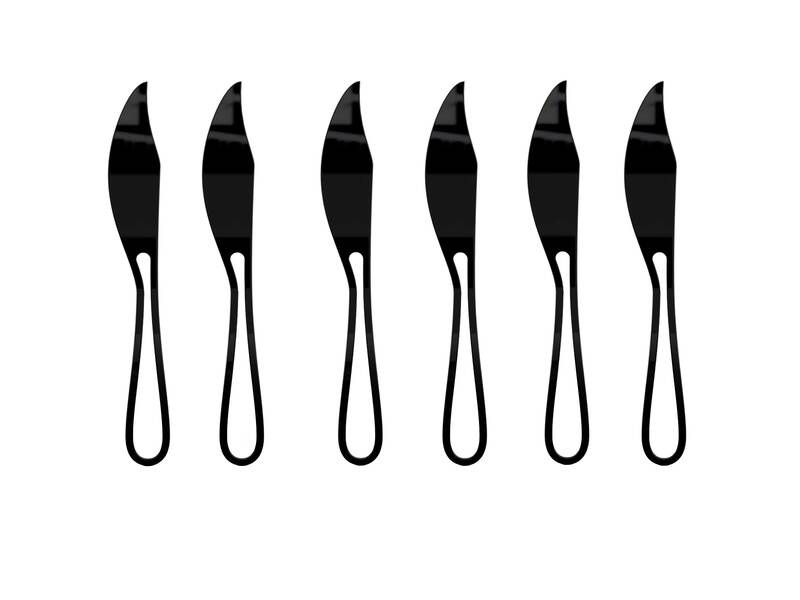 He had a dinner with friends in mind for whom he wanted to design iconic tools. His first sketches consisted of seven sets. 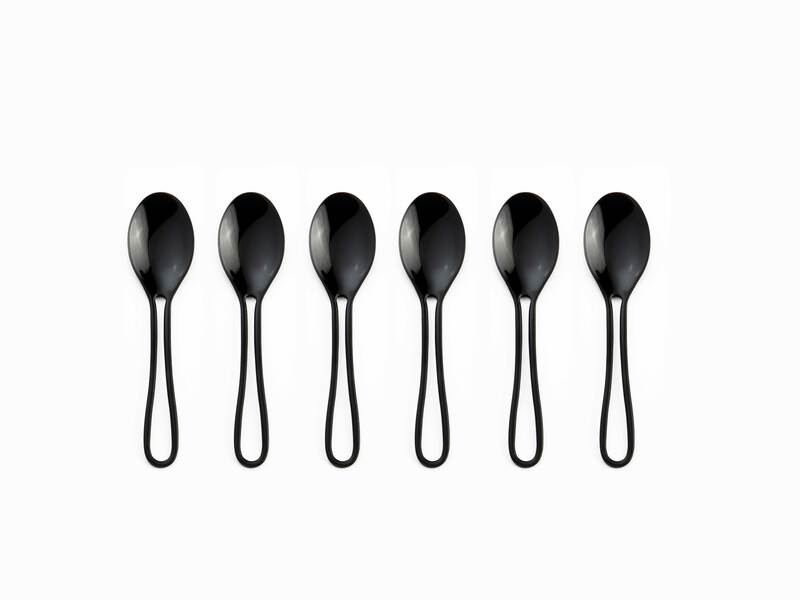 Each set would characterise one of his friends. This Espresso Set will set you up for a birthday party or coffee with the family on Sunday. 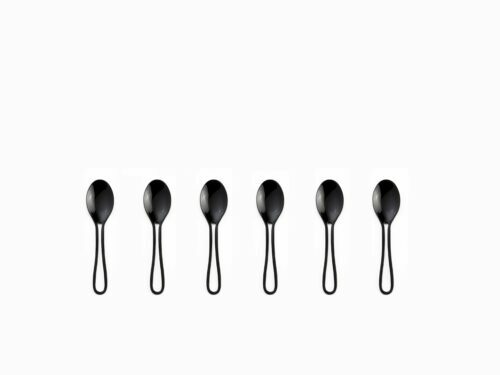 It set contains 6 espresso spoons. 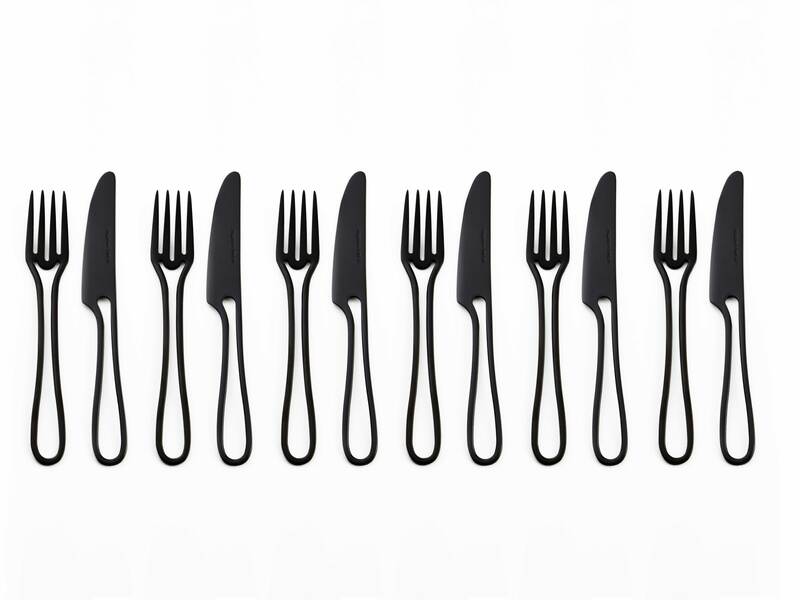 The Tube Cutlery is the result of an experiment with an industrial laser cutter. 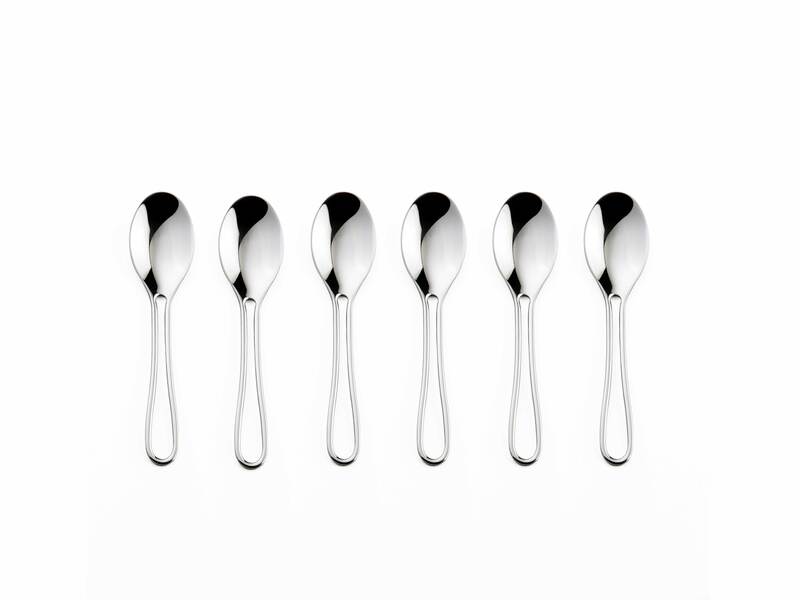 Using a round tube as a base, the shapes are cut out of the tube at a slight angle, giving the series its unique curve and quirky character. By playing with the left and right angle on the tube, the pieces have a pleasant grip for both left and right handed people.